5002 recognition night coming Friday Dec 6th! I’ve attached a ‘5002 calendar’ for those who want to try 5002 for next season. -6:45ish I will walk the 2013 5002 club members onto mat, introduce what 5002 is, then introduce them! This is one of my favorite nights of the year! Please pump your little up for it…they’ve earned it! If you are looking for the word find (last page) please contact me at 507-358-1344. I only have hard copies left. Author linksteffenPosted on November 25, 2013 Categories YouthLeave a comment on 5002 recognition night coming Friday Dec 6th! New floor in wrestling room completed! 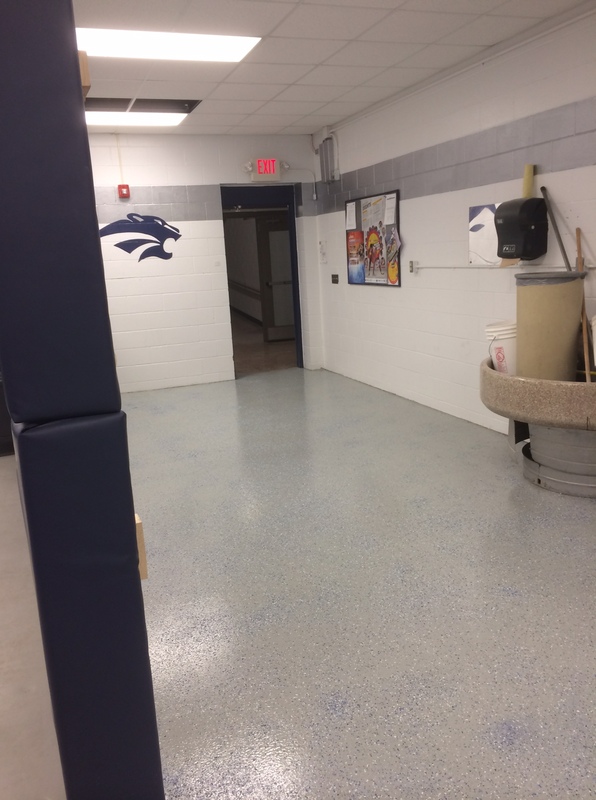 Thank you to Michael Majerus, Joey Majerus, and Brian Majerus for their work in finishing the wrestling room cement floor….it looks fantastic and these guys donated most of last weekend to finish it! Thanks to Rob Haglund and Chris Soltau for helping Brian sand the floors Friday evening…it was a messy job! Brian M, Joey M, Miachel M, Liz M, Rob Haglund, Jarrett H, Jack H, Dan Bennett, Jen Steffen, Chase S, Caden S, for coming in last night and helping clean up the wrestling room! Thanks to all the others who have helped along the way; our room is really starting to look like home because of your work! Please come check out the wrestling room tonight during family night! Author linksteffenPosted on November 25, 2013 Categories AnnouncementsLeave a comment on New floor in wrestling room completed! You’ll need to enter your email address where it says Follow Blog via Email. See the circled red area in the image below. If you are on a mobile device, scroll to the bottom of any page and choose View Full Site in order to see this. Our youth wrestlers have the opportunity to scrimmage during two home Varsity/JV meets in Mazeppa this December. Preliminary details are below. Please e-mail youthcoordinator@zmwrestling.com if your wrestler(s) would like to participate. If your wrestler did not get weighed on registration night, please include their weight in the e-mail so we can pair them with other wrestlers accordingly. We’ll need parent volunteers for referees and table workers. Please let us know if you can help! Wrestlers should arrive at 5:15. Start scrimmages at 5:30. We should be done no later than 7. Scrimmages will be held in the new wrestling room. The first scrimmage is also 5002 club night. We’ll make sure to be done by the time those wrestlers get introduced to the crowd. Last chance to order singlets and warm ups for your youth wrestler is tomorrow, November 19th @ 3PM. 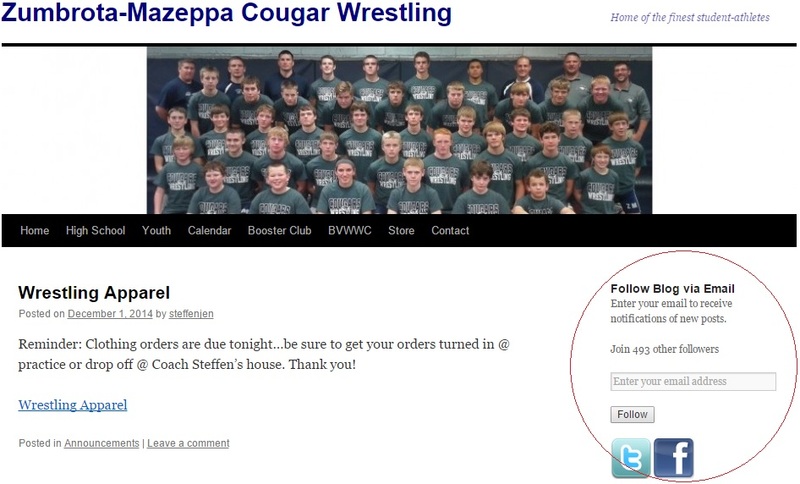 Please e-mail youthcoordinator@zmwrestling.com with your order. The order form for ladies wear has been added to the Order Apparel page…please return to Bev by Monday, Nov. 25th.